Video editor, such as Adobe, iMovie might be the first option come to your mind when you need to trim a large video into small parts. However, even if many video editing software come with video splitting feature, they are always not as professional as exclusive video cutter which can cut the videos in lossless quality. Therefore, you are always recommended to use video splitter whenever you want to trim videos into pieces. 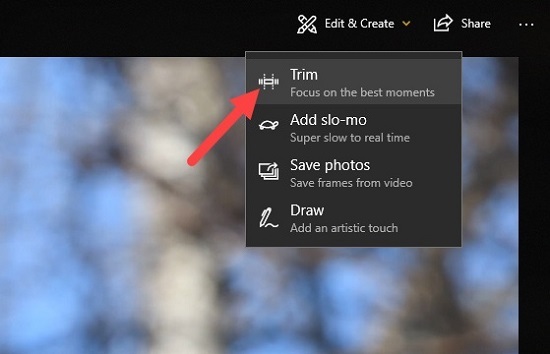 If you are using Windows 10, the good news is Microsoft provides built-in Photos for you to trim any video without requiring third-party apps. In addition to that, there are a great many separate video cutters that can trim videos on Windows 10 with just a few clicks. In this article, we'll show you the top two ways to split videos on Windows 10 with lossless quality. If you don't want to install any extra software on your PC, then the Photos app could be the best option for you to trim videos on Windows 10. Here's how. Note: The Photos app on Windows 10 is not a fully functioning editing tool but a simple solution that focuses on easy video cutting only. If you are looking for a more powerful video trimmer that has complete cutting and editing options, you can jump to the other way instead. 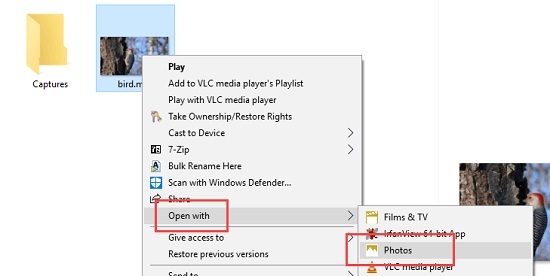 Firstly find the video file you want to trim on your computer drive and then right-click Open With > Photos. Once it's launched, click on the video and you'll see a menu bar come across the video. Click Edit & Create > Trim. 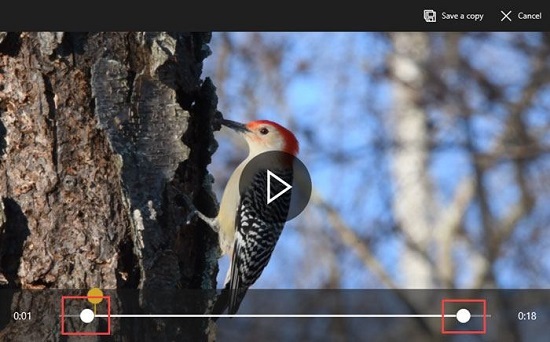 Now simply move the starting and ending sliders to select the video segment you want to keep. By clicking on the "Play" icon, you can preview how the video looks after trimming. When the trimming part of the video is set ready, click on the "Save a Copy" button at the top. Depending on the file size, quality, and resolution, it can take some time to create a copy of the trimmed video for you. Once done, go back to the same folder where you've saved the original video file, and you will find the newly cut video with "Trim" at the end of the file name. You can then rename the trimmed version as you like so that you can easily recognize it later. This way provides you with a more professional video trimming software that can cut both videos and audios in any format to others without losing any quality on Windows 10. 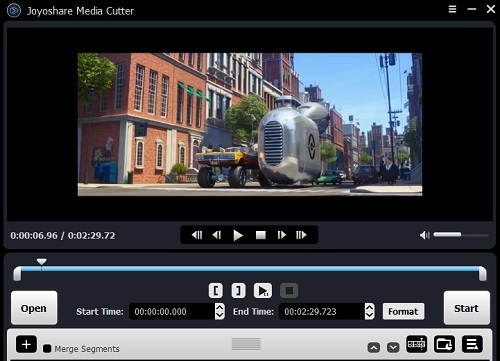 The solution is called Joyoshare Media Cutter, a complete media splitter well designed to trim and cut any video into small segments while keeping the lossless quality of the video. Besides, it can save the video cuttings to popular formats, such as HD MP4, WMV, FLV, MOV, AVI, etc. as well as mobile devices like iPhone, Android, Windows Phone, game consoles, smart TVs, etc. 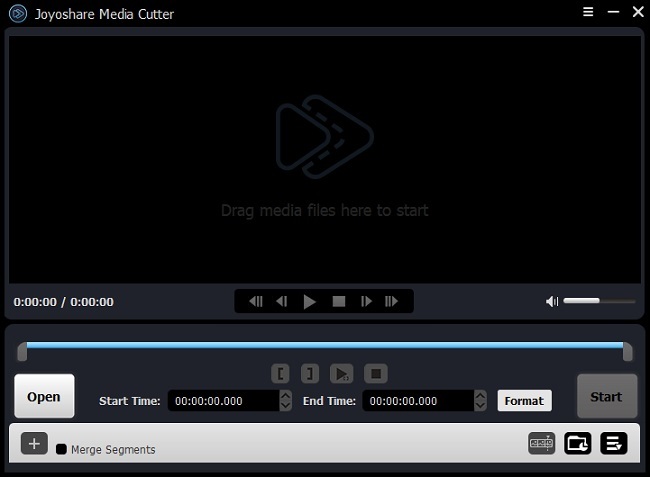 You can also use this smart tool to cut audios into other formats and merge the multiple video clips being cut from the same video into a brand new one. All trimmings will complete at 60X faster speed. After launching Joyoshare Media Cutter on your Windows 10, simply drag and drop the video file that you want to cut into the main window of the video trimmer. 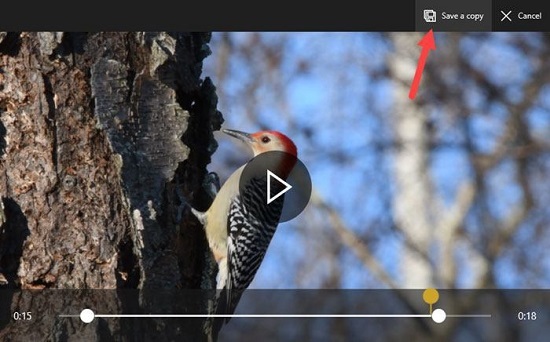 Clicking the "Open" button is another way to import video to Joyoshare. You have two choices to elect trimming segments. The commonly used means is to move the slider key while the video is playing. The other is to set the temporal interval with start time and end time manually. Both options can help you enhance the efficiency and accuracy for cutting the videos. If you want to cut the video into multiple segments once, you can click the "+" icon to create a new cutting task in the progress. Once the video area is set, click the "Format" button to choose the output format and devices according to your needs. You can also customize the video size, quality, codec if you like. Now click the "Start" button to begin the trimming process. Wait for a minute till it completes. If you want to merge the multiple video cuttings into one, you need to confirm the "Merge Segments" option has been checked. 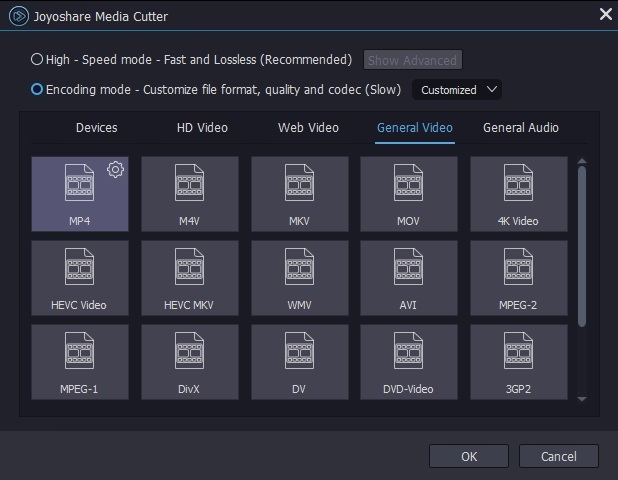 Next you can take your time to watch this short video guide on how to use Joyoshare Media Cutter to cut and trim videos fast and losslessly in Windows 10.